Yellow fever is another form of haemorrhagic fever, but he’s no rookie, mankind for hundreds of years. It has always been a terror tropical countries, America and Africa, which killed large.Insidious disease whose symptoms are described in historical records as vomiting and yellowing of dark liquid, was attributed to all sorts of possible and impossible causes. The history of discovering the cause of the disease is very long and interesting, claimed many human sacrifices and took a long time before they were discovered, the cause of the disease is a virus of the family Flaviviridae, which is sometimes also belong to a group called. Arboviruses, which are viruses transmitted by arthropods. Indeed, the yellow fever virus is transmitted by mosquitoes between monkeys and humans, but also between people. 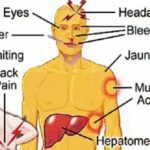 Today, yellow fever occurs in tropical areas of Africa and America are infected annually and approximately 200,000 people, of whom 30,000 will die (it is assumed, however, that the numbers are much higher, because not all infections are identified). The vast majority of cases originated in Africa. The risk is staying in countries where the disease occurs and inadequate protection against mosquitoes. The incubation period (time from infection to first symptoms) is usually 5-6 days. Disease occurs in two stages. The first stage is manifested by fever, chills, pain in the lumbar region. The temperature usually rises to 40 degrees Celsius and lasts 3-4 days. Face and tongue acquire a deep red color and eyes “bloodshot” (reddened conjunctiva). They may also be dizziness and vomiting. After this first stage, the victim usually a few hours of relief and fever subside. It does not last long and the temperature rises again, the overall condition begins to deteriorate rapidly, her face gets pale color, vomiting occurs digested blood (vomit because they have black color). There is a serious failure of the kidneys and liver. 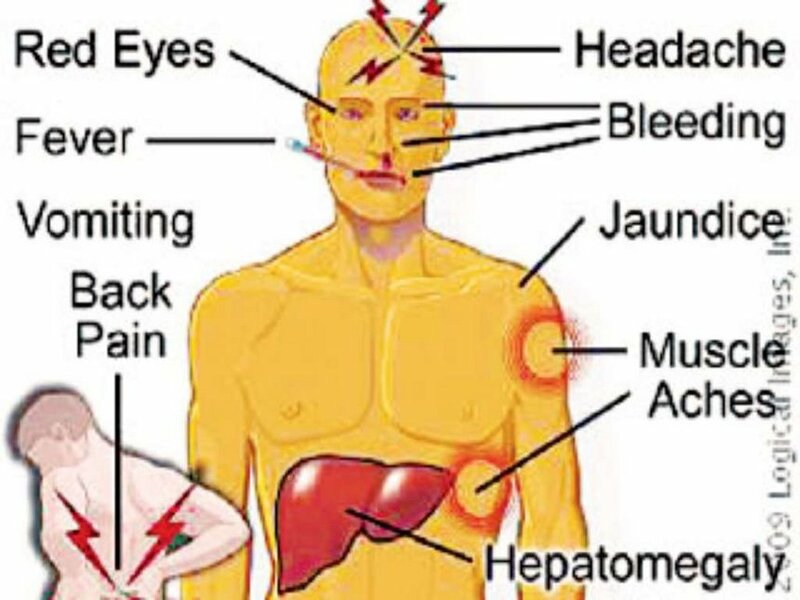 Livers are enlarged and painful to the touch. Now hepatic impairment results in jaundice, which is typical for this disease, according to which he got his name. 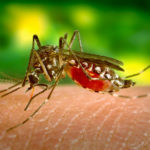 Already in earlier times as a preventive measure carried out a systematic extermination of mosquitoes and destruction of close to human settlements, where they are breeding. At one time even thought that he would soon completely eradicate yellow fever. But the disease has two types, urban and forest type. 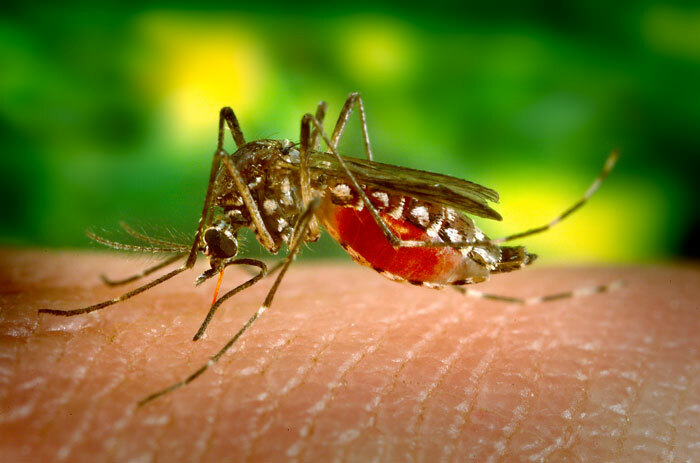 Municipal type of mosquito is transmitted from human to human and forest type of mosquito transmits primarily between monkeys, occasionally to humans. And this forest type is hard to describe, because the infection is found in the jungle and has many outbreaks, which can not be affected. Therefore, it is necessary to always calculate yellow fever. Fortunately for yellow fever, as one of hemorrhagic fevers, developed an effective vaccine. It is a live attenuated vaccine – inoculated with live virus that is weakened but very healthy immune system can easily handle him and establishes a immunity that lasts at least 10 years. Mandatory to vaccinate people who were leaving for South America and equatorial Africa. The vaccine is administered once, subcutaneously, at least 10 days before departure. Vaccination unfortunately for economic reasons not available hundreds population vulnerable zones and therefore are still number of infected each year huge. As with other hemorrhagic fevers no effective treatment, but treats only the symptoms. The important thing is bed rest, maintain the parameters of the internal environment, the patient should be on a diet the same as in the liver and kidney failure, sometimes administered glucose infusion.During intense gastrointestinal bleeding is given a blood transfusion. Also give high doses of vitamin K in renal failure on hemodialysis. The condition of patients who survive the brunt of the disease, mostly completely modified and the consequences are just rare.